Tuesday 3rd of April 2018 and I was walking around the hotel area for 30 minutes or so looking for birds before the breakfast. I had bacon, egg and home fried potato for breakfast. Amazing, they serve Cumin potato with the bacon and egg. Who the he**? Seriously, why change the potato now? Why suddenly decide to have Cumin potato to the breakfast today? 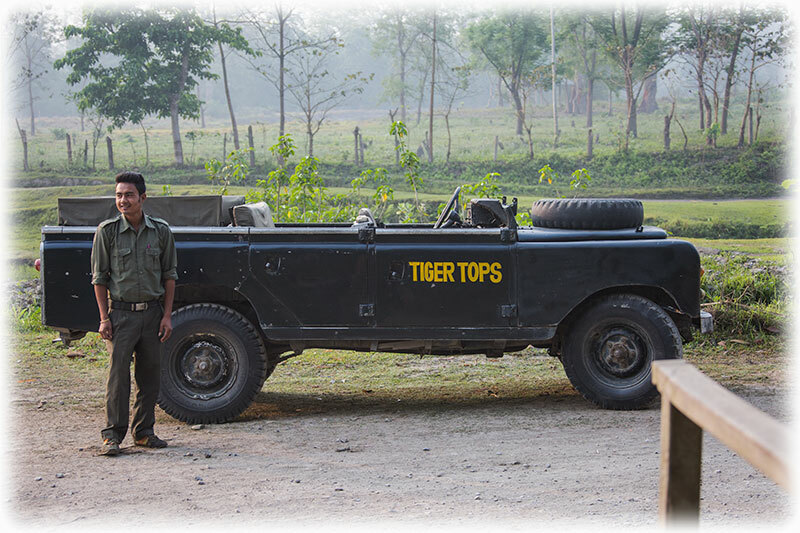 I went down to the jeep at 7 and we were soon on our way down to the river. 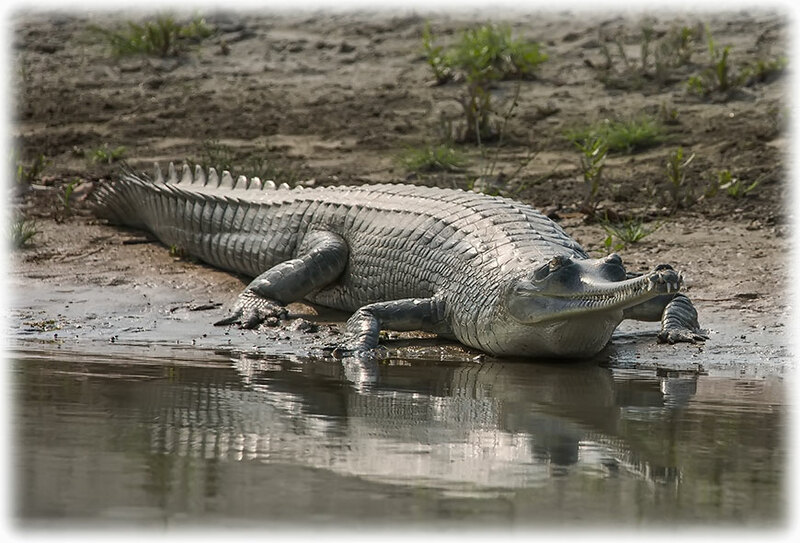 The main reason for me to go on the river is to see the long nosed crocodile, the gharial. 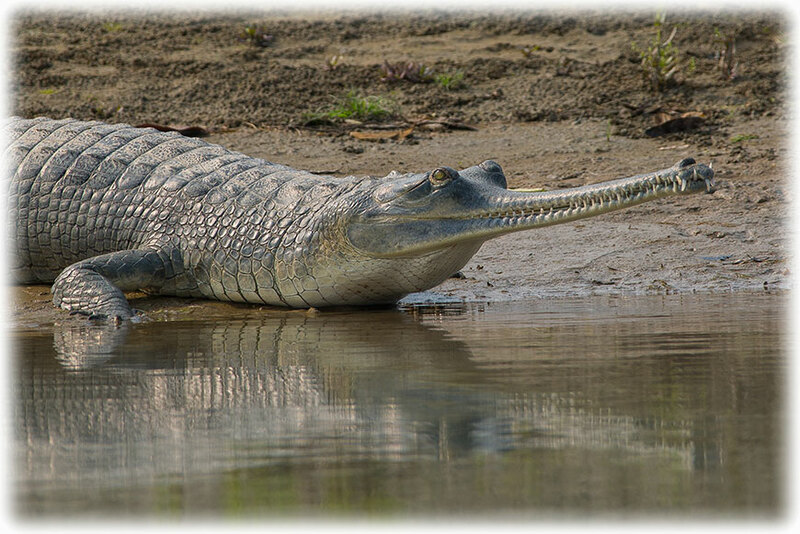 If we're lucky we can come up close to the gharial. 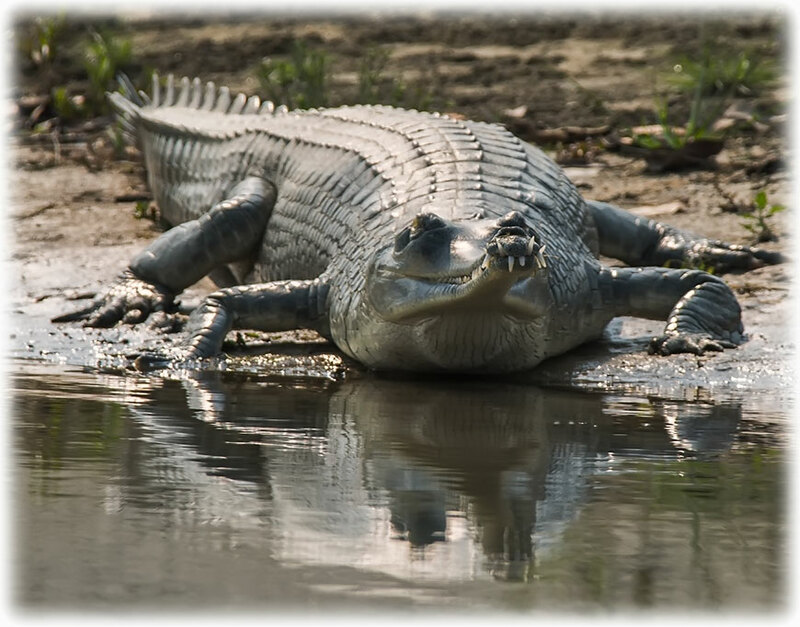 I will be happy just to see one of the crocodiles. 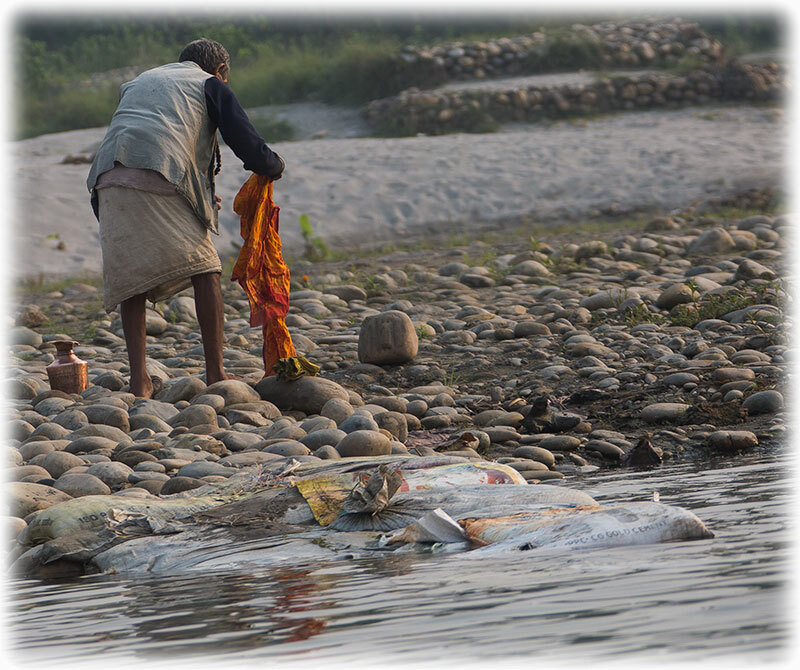 There is a holy man praying at the river when we come down to the water front. 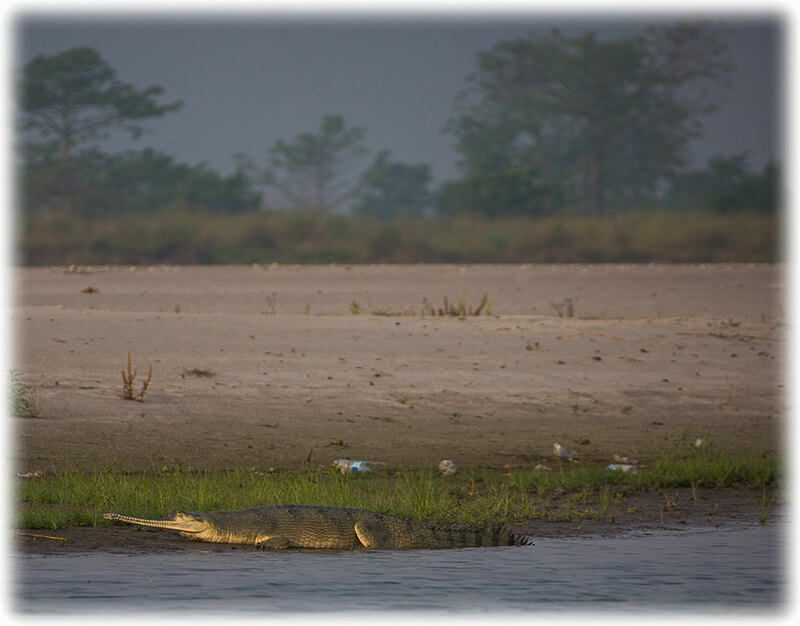 We get in to the boat and for the first time since I came to Chitwan, we spot a gharial just across the river. 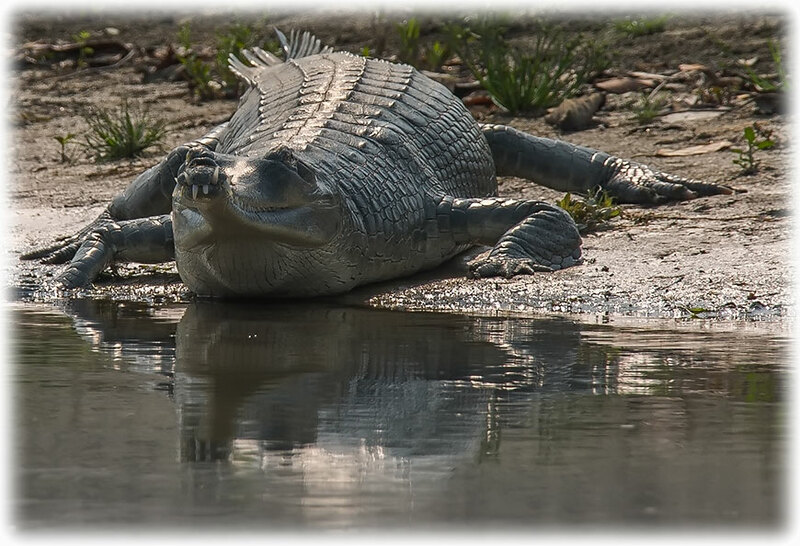 We want to check out the crocodile and I suggest that we go up river and to cross the river and to float down towards the crocodile. 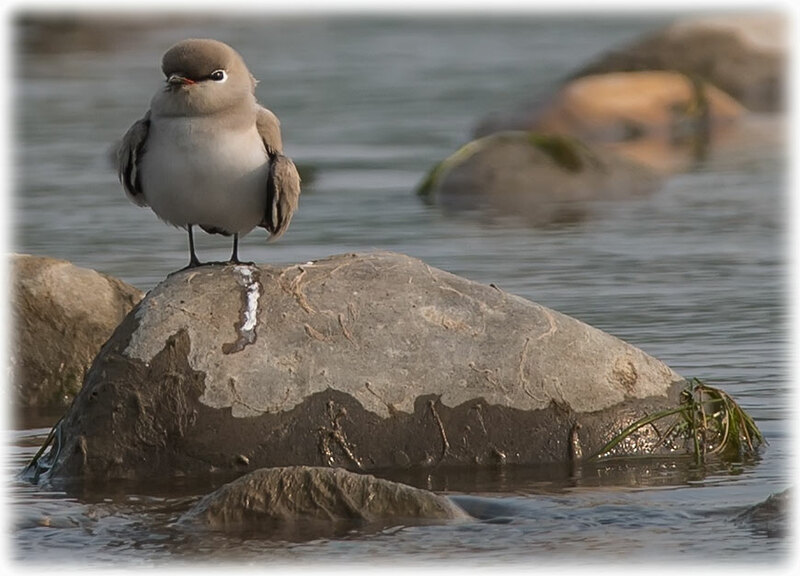 We continue up the river and we pass several of the beautiful Small Pratincole. And we can hear them everywhere. 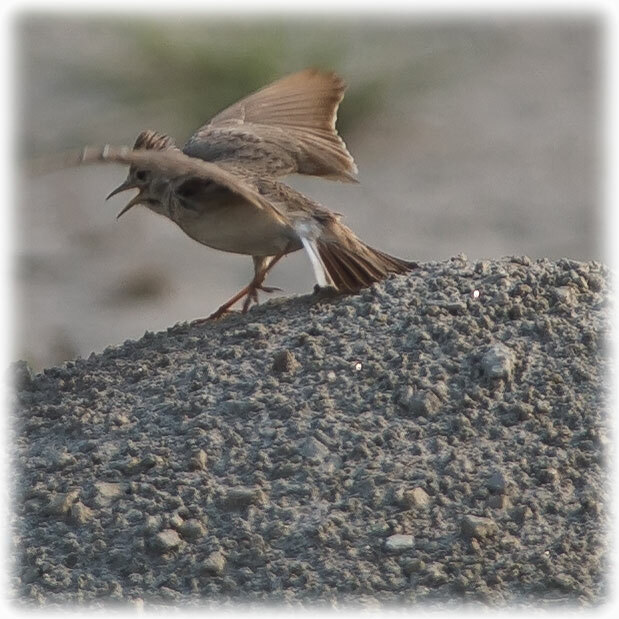 We also saw a Sand Lark doing a breeding dance and this looked very funny. We had a couple of rapids and our paddlers got out and pulled and pushed the boat up the rapids. 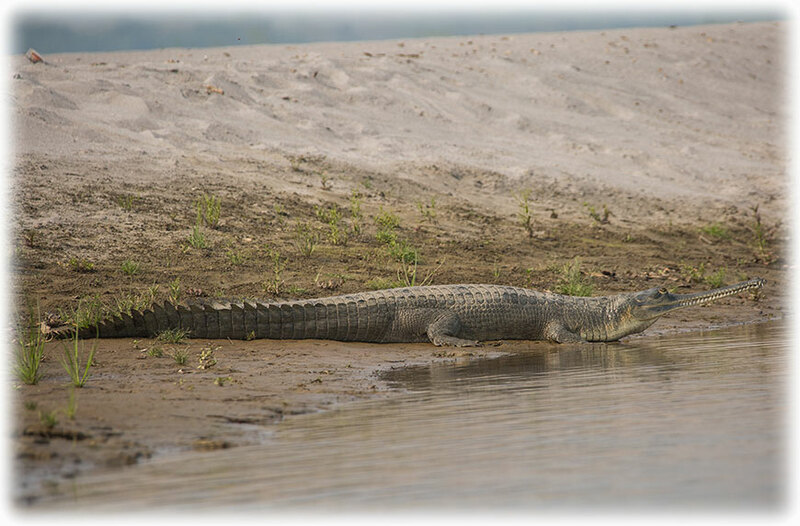 We had passed a couple of rapids when we spotted another long nosed crocodile enjoying the sunshine on the beach. 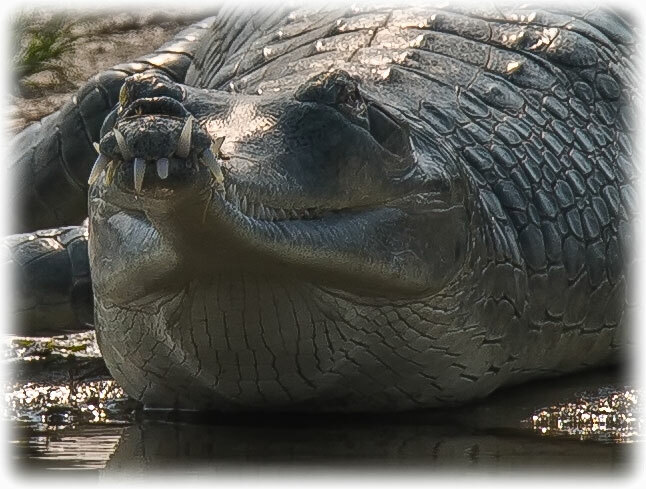 We used the same technique as with the first crocodile. 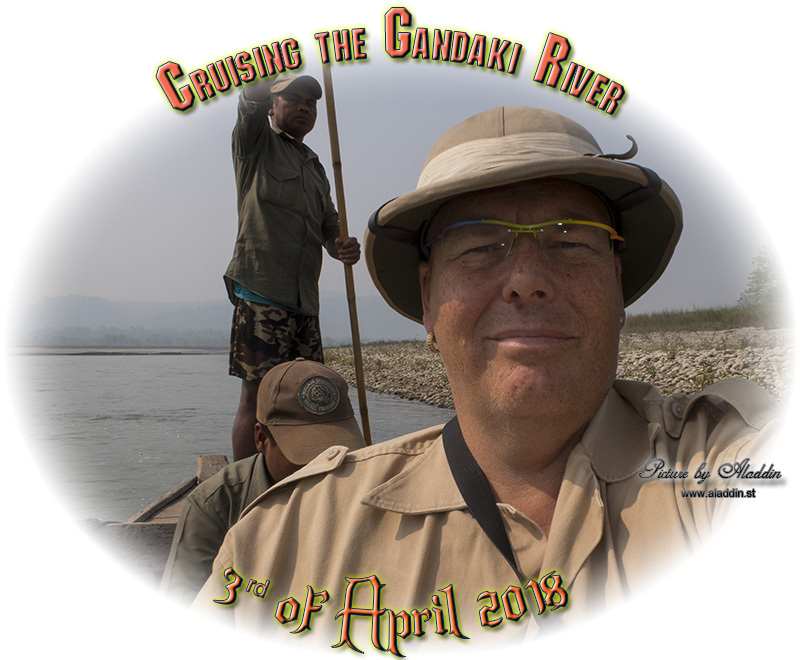 We crossed the river upstream from the crocodile and we floated down towards the crocodile. 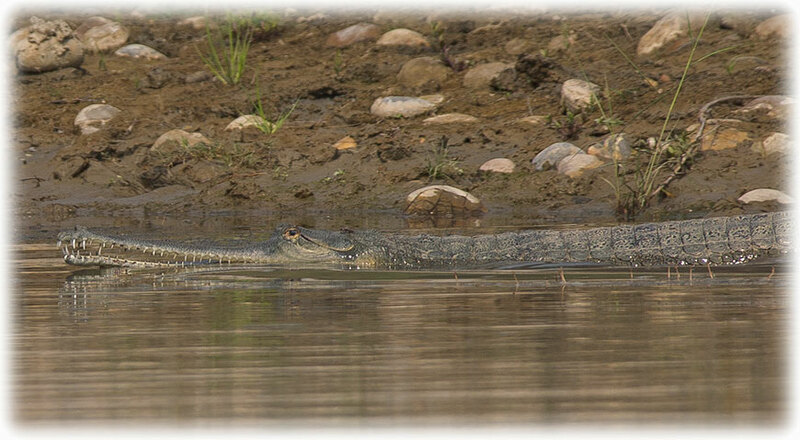 The crocodile, well, the Gharial didn't mind us coming down towards him with the camera aiming at the Gharial. 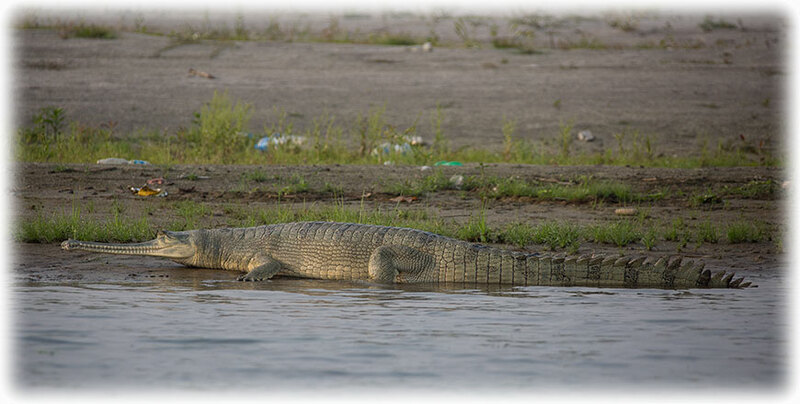 It is for sure a beautiful animal and I'm still very happy that I agreed to walk across the bridge back in Bardia so I got to see the Critically Endangered Gharial. 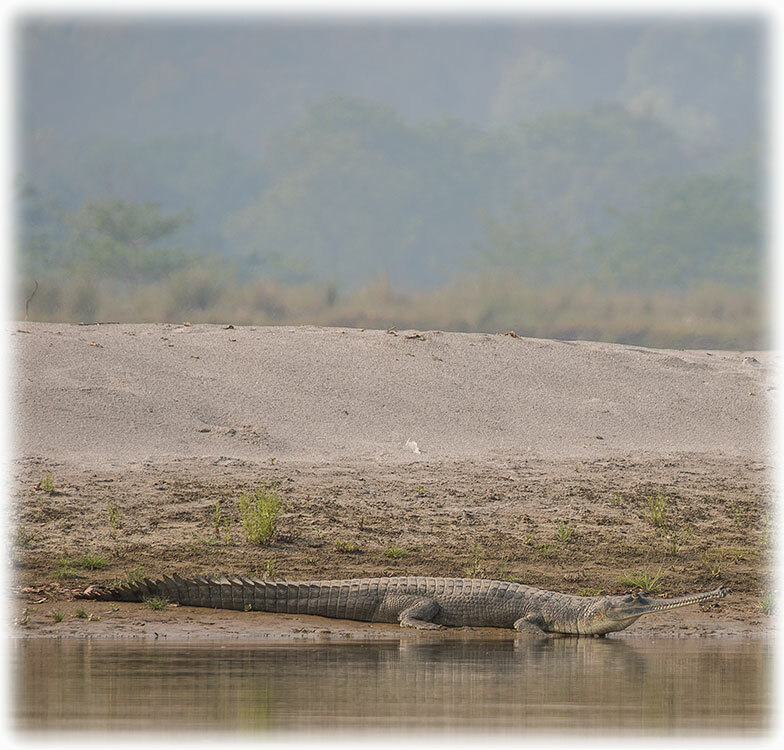 And today we had been lucky, this is the second Gharial we see today and the second I have sen up close, they were very far away watching them from the high bridge. 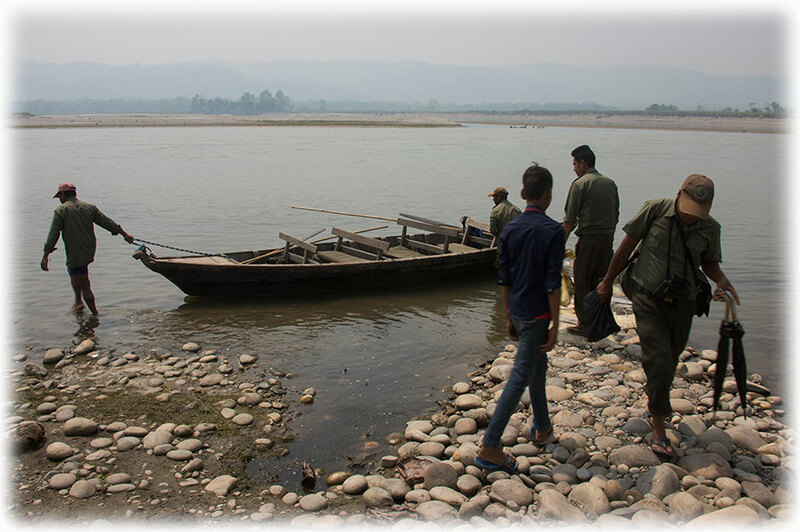 We had been on the way for 2 hours or so and as the guy had been working hard I decided to turn around, no need to paddle or pulling/ pushing any more as we will go down stream. But before we turned around we put the boat on the beach, well, only the forward part and we enjoyed the views for a while. 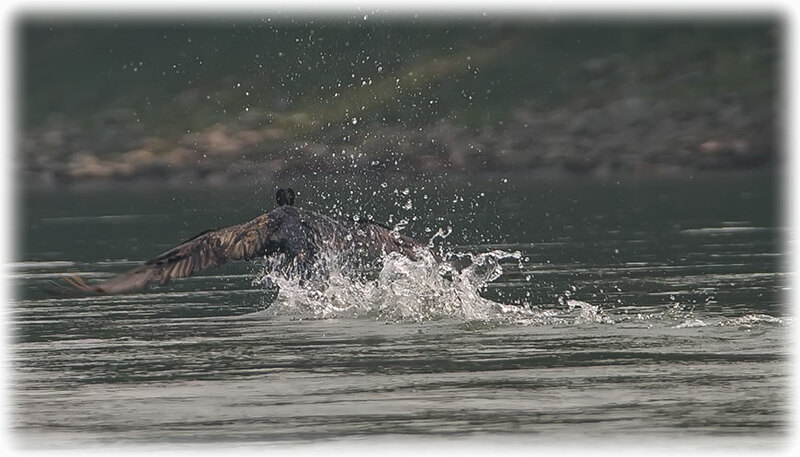 We observed a Great Cormorant fishing and the bird was coming down stream and just before the bird reached the rapids, or the white water the bird took off. 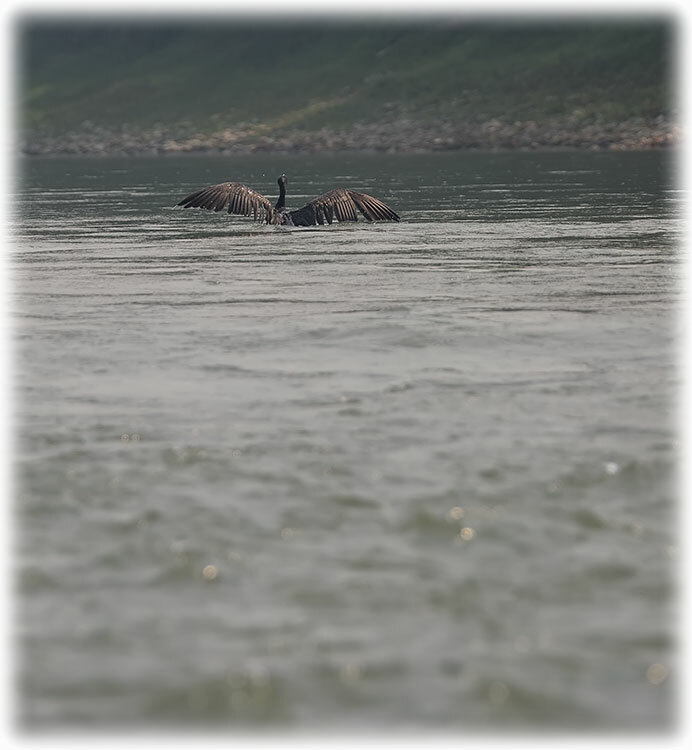 We had spotted a few Intermediate Egrets on the way “UP” river and we will try to get closer trying to get some pictures on the way back to the hotel. 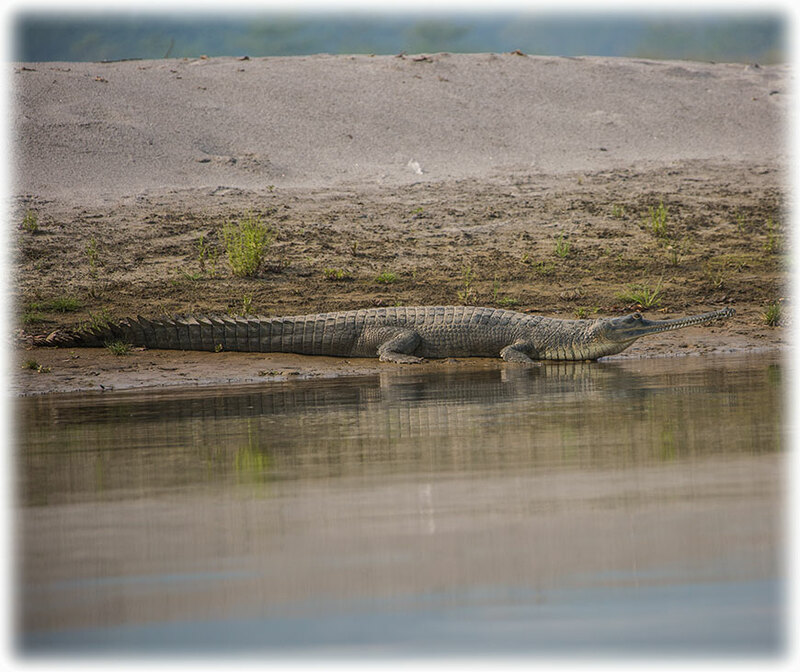 We saw a third Gharial on the way down stream, but this crocodile was scared and jumped in to the river when we approached, so no pictures. 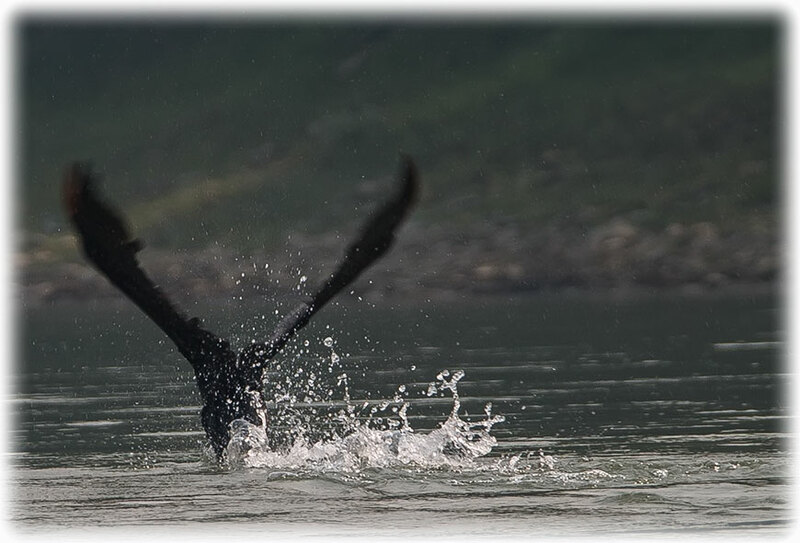 We were not lucky with any of the birds either. 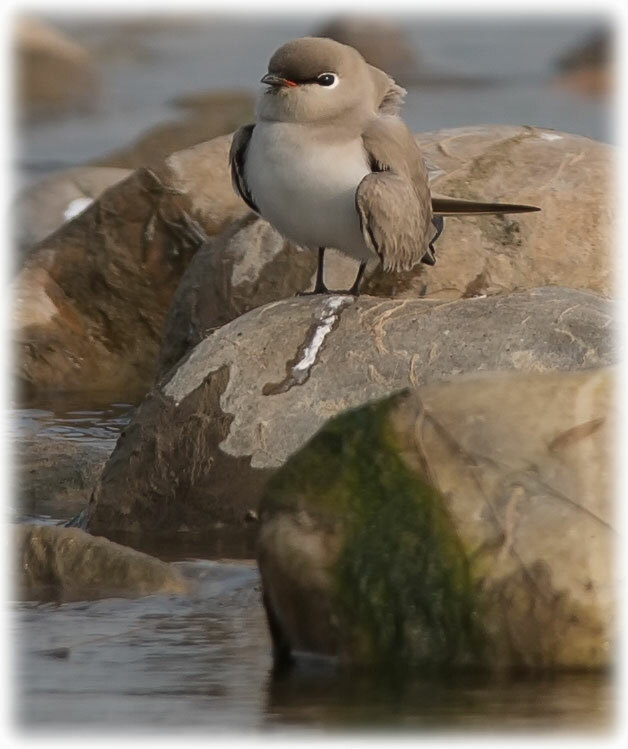 2 poor pictures of the Small Pratincole, but we had a lot of fun. We could see the jeep coming down on the beach as we were approaching the landing, a berth built by sandbags. It had been a very beautiful and fun morning. But it was nice to come ashore again to stretch my legs. 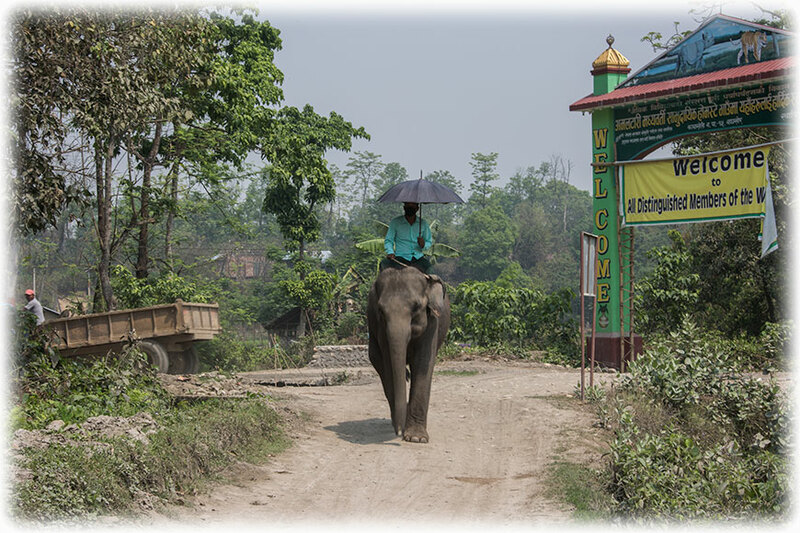 Lunch back at the Tiger Tops Tharu Lodge and I even had time to walk around to see if I could see any birds on the hotel area. No birds and it was time to leave for the afternoon safari at 2 thirty. 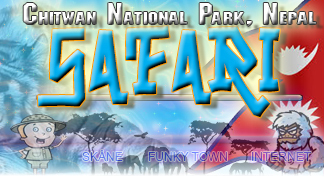 Now I only have 2 more safaris, tomorrow will be the last safari, so will we see any tigers? 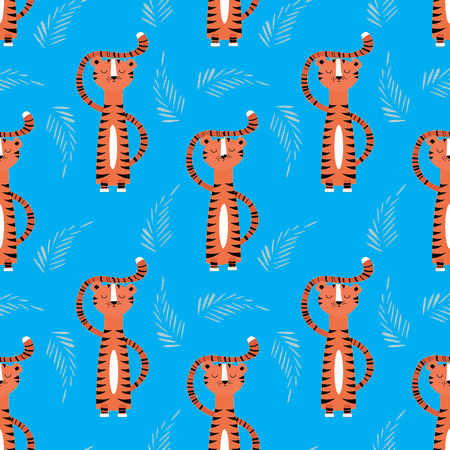 Click HERE to find out if we find any tigers, or leopards in the afternoon.